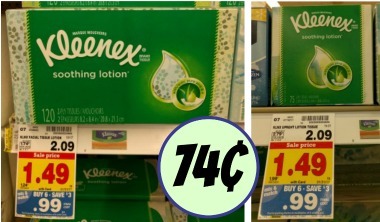 Better Than FREE Dulcolax or DulcoEase In The Kroger Mega Sale! Print and load your Dulcolax coupons. 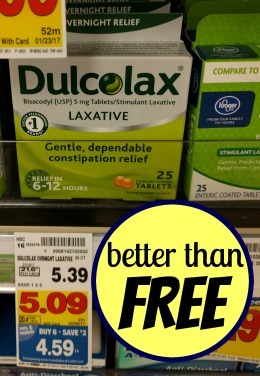 Pick up a FREE box of Dulcolax or DulcoEase with the Kroger digital coupon and put a some money back in your wallet! If you need to stock up you can pick up additional boxes pretty cheap during the mega sale with the other coupons. –$3/1 Dulcolax Products printable [25-ct.+] FREE after coupon. Add this deal to your shopping list over on the Kroger Buy 6 Save $3 What A Deal Mega Sale Full Inclusion List (Valid 1/18/17 – 1/31/17). Del Monte & Red Gold Canned Tomatoes – As Low As 49¢ At Kroger!